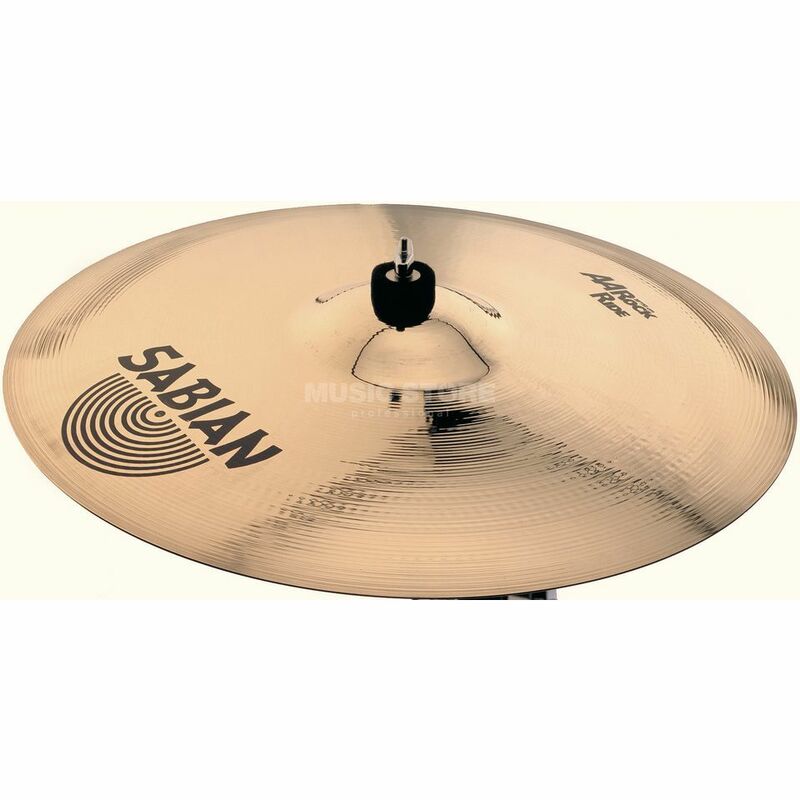 The Sabian AA Rock Ride 21" Brilliant Finish is a 21" ride cymbal made with a B20 bronze alloy that is machine hammered, with a brilliant finish. AA cymbals combine musicality and energy for sounds that are bright, bold and explosive. Cool for retro, right for now, these highly durable cymbals move a lot of air in any kind of music. The AA Rock Ride Cymbal features a big, bright bell and a solid, full-bodied sticking sound that adds up to an aggressively loud and penetrating power.